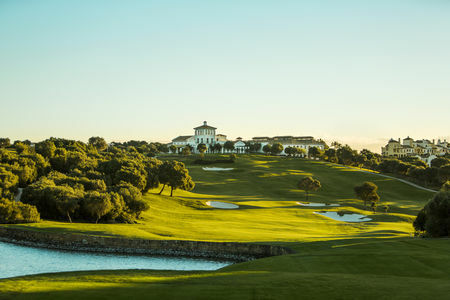 The second of the two courses at The San Roque Club, located outside Sotogrande, the New Course was built on a significantly tighter and hillier piece of ground than its sister course (which was designed by Dave Thomas). 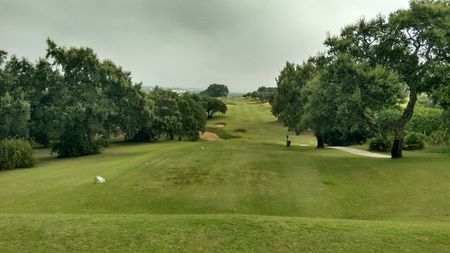 Perry Dye rose to the challenge, and proof of his success is the pair of Spanish Opens played at San Roque in the two years after the course was opened in 2005; the club also hosted qualifying events for the European Tour from 1997 to 2003. 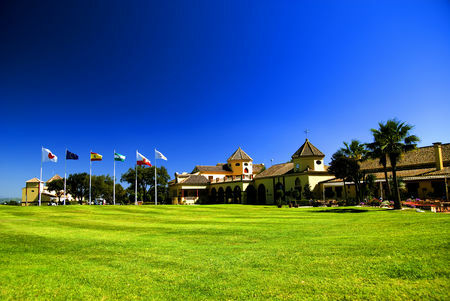 Dye's layout blends into the landscape and offers panoramas of the surrounding mountains and Guadalquiton River valley and the ocean in the distance. Though long at nearly 6500 meters, the layout provides for a range of teeing options accommodates players of various skill levels. Water is in play throughout the back nine. 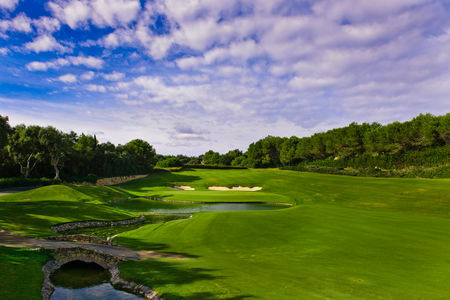 The clubhouse features a bar and a Japanese restaurant and superb practice facilities. 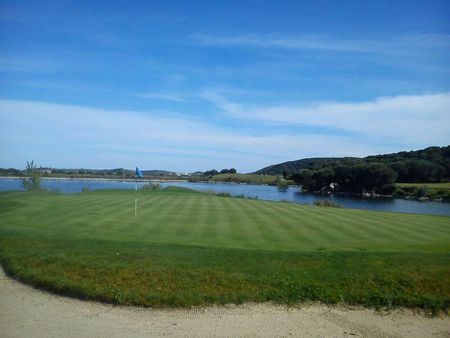 Very different to the Old Course, looks more like a links with many pot bunkers. Gets a surprising amount of wind.